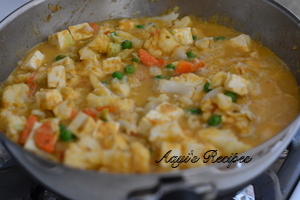 It is getting a bit harder for me to cook elaborate meals on weekdays. So many times I make one dish filled with vegetables and some protein. 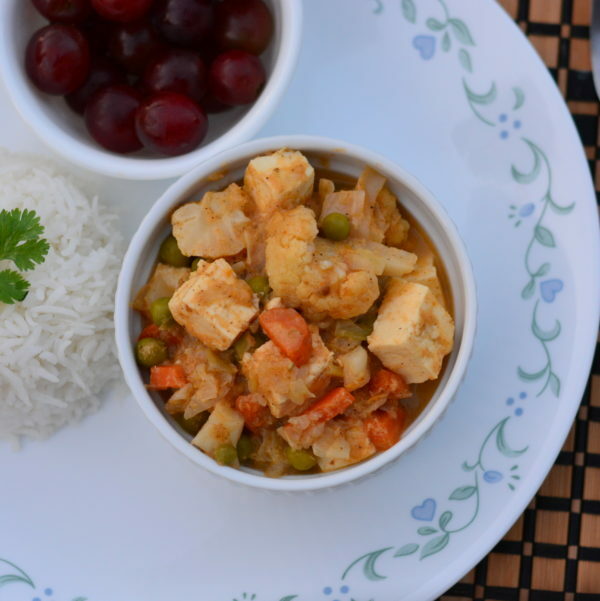 This paneer and vegetable curry is one such dish that is full in flavor and had loads of vegetables. 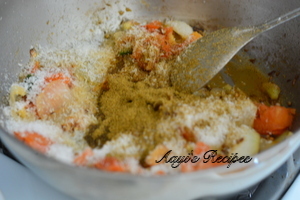 I made it like Konkani bhajis with coriander-cumin-garam masala-coconut paste. 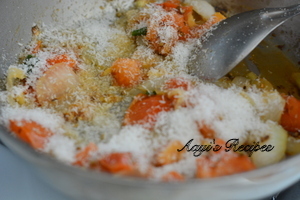 I served it with plain basmati rice. It made a wonderful dinner and lunch next day. 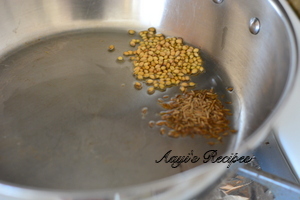 Heat oil and add coriander seeds, cumin seeds. 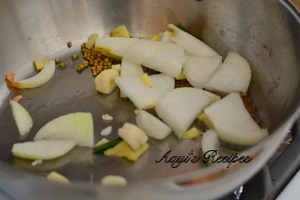 Add onions, ginger-garlic, green chillies. 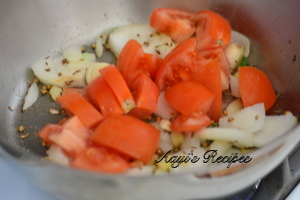 Add tomatoes, onion, coconut, spices. Grind to a paste. 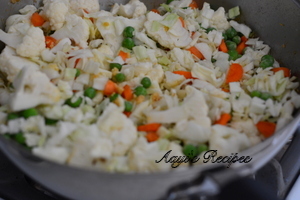 Heat oil and fry vegetables. 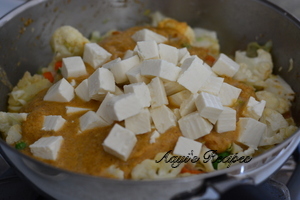 Add paneer, ground paste, cook till done.